When I met Raed Othman, an Ashoka fellow, in Bethlehem, I knew by the conversations infused with poetry and ancient tales, that I had encountered the storyteller of Palestine. However, instead of delighting audiences with fiction, he used his storytelling skills to start a media agency during the second Palestinian uprising (intifada) against the Israeli occupation. Raed sits in his office smoking a shisha with a stillness that remains palpably present even in times of chaos. Behind him, a photo of Jerusalem sweeps across the wall. 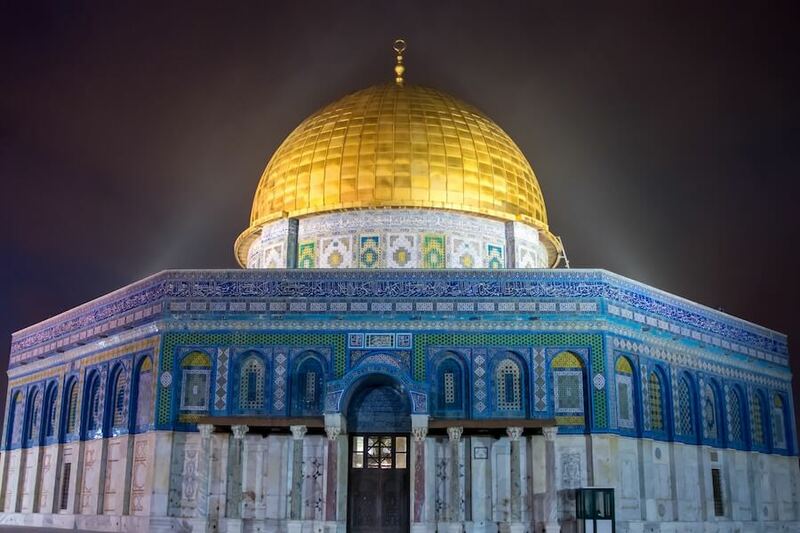 The golden dome of the ancient Islamic shrine, Qubbat al-Sakhrah, in the Old City of Jerusalem punctuates the skyline. Two cameramen and a journalist walk into the room, their faces flushed by the desert sun. They had been covering clashes between soldiers and young men in the nearby refugee camp. After a few urgent words are spoken in Arabic, the team leaves the room carrying their equipment, ready to cover another story for the evening news program. BORN INTO AN OCCUPATION, Raed grew up in a village in southern Bethlehem. During his final year of high school, the first intifada broke out. It was the late 1980s. As schools were closed sporadically during the conflict, it took Raed three years to complete his final school exams. As he entered university to study electrical engineering, the first intifada was still raging. He became actively involved in student politics and was the head of the Fatah student youth movement for three years. As a student, he was outspoken against the occupation. This led to his arrest and imprisonment. After spending twenty-two days in an Israeli prison, where he was routinely interrogated, he returned to student politics and continued to fight for Palestinian freedom. After graduating in 1997, he worked as an engineer for television stations in the West Bank including Bethlehem TV. When the small station went up for sale, he convinced his uncle, a prominent doctor and director of a local hospital, to buy the station and make him the manager. In 2000, the second intifada exploded in the West Bank and Gaza. Raed covered stories amid the chaos of daily arrests, intense fighting, and violence. During periods of curfews – the most extreme form of closures – everything came to a grinding halt. Raed says, “As a journalist, I had permission to move in the streets during the curfews, but even so our movements were restricted to certain areas.” He slept at the office as he could not return home. Recognizing the benefits of creating a larger platform where small media outlets could share resources – something which was scarce during the second intifada - in 2002, Raed founded Ma’an Network, a non-profit media organization. Committed to independent media in Palestine, the network began as a partnership between local TV and radio stations, with each member covering news in their areas. The network aimed to build links with international media, as well as consolidate freedom of expression and media pluralism to promote democracy and human rights. A YOUNG MAN CARRYING a tray of Arabic coffee enters the room. We fall silent as he places the small coffee cups on the desk. His face softens with a shy smile as words of thanks are offered in both Arabic and English. The young man leaves the room that is now filled with the scent of cardamom. During a two-week curfew in 2002, the hospital his uncle managed was running low on medicines. “My uncle obtained official permission to use his car to collect the medical supplies. He was instructed to walk to his car wearing only a white shirt and no jacket. It was a cold night. An Israeli tank sat in front of the hospital. As soon as he got into his car and turned on the ignition, the soldiers aimed their rifles to the sky and began shooting. Moving quickly, he got out of the car and ran inside the hospital. After making another phone call, his permission was confirmed for a second time,” Raed says. Once again, his uncle walked back to his car and slowly began to drive away. The tank outside the hospital did not move, the soldiers did not fire. He kept driving. Raed gazes towards the portrait of his uncle which hangs on the wall. His face, which looks remarkably like his uncle’s, is marked with sadness. “Another tank was 200 meters or so from the hospital. The soldiers saw his car and began shooting at his vehicle. My uncle was under heavy fire. He was shot dead,” he says. They could not bury his uncle until the curfew was lifted. Weeks later at the funeral, he saw his mother and family for the first time in weeks. A YEAR LATER, AFTER DELIVERING a presentation at a media conference in Germany, an Israeli journalist in the audience told him that the world does not know what is happening in Palestine. “You have accurate information but you are talking to yourselves,” she said. Others in the audience agreed with the journalist. From this encounter, the idea of developing a Palestinian source of information, accessible to both Palestinians and the international community, was born. In 2005, after two years of talks with the two governments that would provide initial funding for the project – Denmark and the Netherlands - Raed launched Ma’an News Agency, an online source of news published round the clock in Arabic, English, and for many years, in Hebrew. At the beginning, Palestinian journalists were trained by international journalists, and Israeli journalists were asked what stories they thought would be most interesting for an Israeli audience. For the Palestinian audience, Hebrew news was translated into Arabic. Twelve years later, Ma’an News Agency receives millions of visits per month by both local and international audiences. The road over the last decade has been fraught with obstacles: journalists have been threatened and injured; the Gaza office was closed by Hamas for several months; an Israeli airstrike damaged a building in Gaza which housed several media offices, including the Ma’an office. Raed navigates the challenges, remaining anchored by his conviction of the power of a free press. Suddenly an elderly woman walks into his office. Distraught, she apologizes for the interruption. In between tears, she explains the reason for her sorrow: she has not been selected to go on Hajj, the annual Islamic pilgrimage to Mecca, and fears she has few years left to live. The idea of not making this journey before her death is unbearable. Raed listens to the stranger, who is escorted by a man in his thirties, perhaps her son, who looks upon the woman with saddened, weary eyes. Raed asks her to wait for him in the reception area, promising he will not be long. Toni Palombi is an editor and writer who has worked with international charities in Asia, the Middle East, and Australia. Read more articles by Toni Palombi. All original work attributed to Toni Palombi © 2018 Toni Palombi.